Now under step one, you’ll be able to print a coupon good for $1.00 off a pack of Oscar Mayer Selects hot dogs or cold cuts. If you rather have it mailed, just click the “Help” button on the bottom right of the coupon page. Now click “Give Your Taste-A-Monial” and fill out the form. 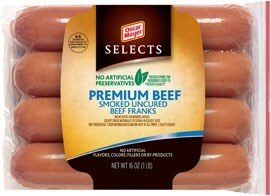 Image Credit: Oscar Mayer; thanks BeBe!